We have our sneaker radars turned up a notch as we embark on some great Valentine's Day releases. Not only is the Jumpman dropping an amazing Air Jordan 1, but the Swoosh is releasing a very creative collab with designer Nathan Bell. Sometimes you have to put your message in your "sole" to inspire others. This next iteration of the popular Zoom Fly SP does just that. 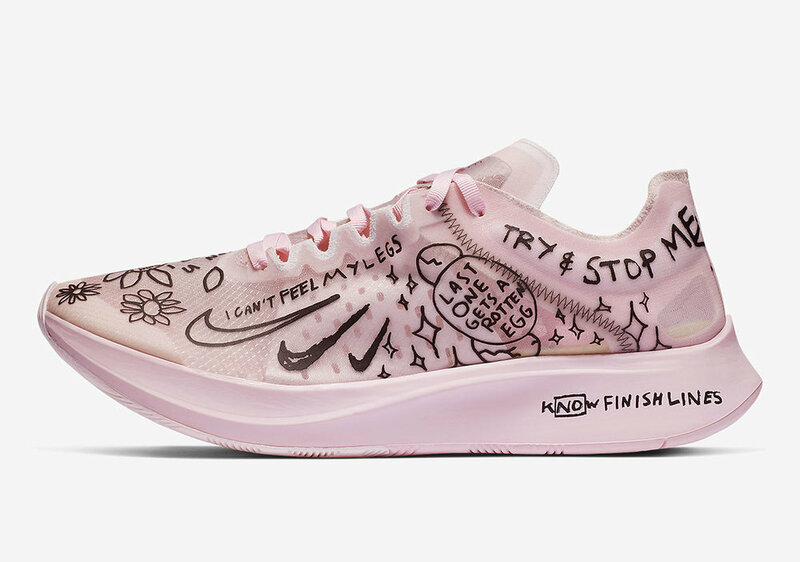 The sneaker takes on artistic expression with phrases like 'K[NO]W FINISHLINES' and drawn Swooshes. 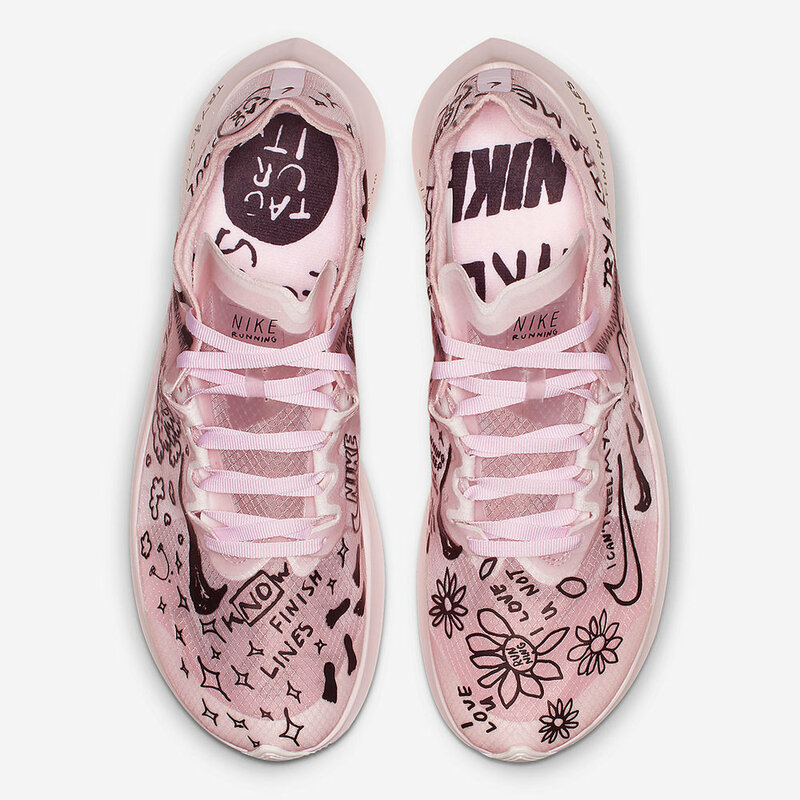 This Nike Zoom Fly SP x Nathan Bell is dipped in a light pink hue as the upper is dressed in translucent mesh. It will definitely give you a DIY feel with the inspirational messages covering the pink upper. The Zoom Fly SP is built with Lunarlon foam to aid in the most responsive performance when hitting the pavement and beyond. I can appreciate the artsy style, and love the mixed messages of hope. Honestly, Lord knows I can get all the help and positive affirmations possible when running. Is this a COP or CAN? If you're feeling this pair, they are slated to release on Valentine's Day via Nike's website and select retailers. We have added a SHOP THE SNEAKS for Nathan Bell gear via Nike. Make sure you're a Nike+ Member to access below! The price tag for the Zoom Fly SP sits at $150 USD. Vday wish list addition? I'd say yes. Runner Nathan Bell collaborates with the Swoosh for a creative design. We have a sweet tooth. A little inspiration from Alex Morgan!